“Museum of the Museum” is an exhibition by Helsinki-based artist Ilya Orlov, dedicated to the history of the Lenin Memorial Room, a museum that opened in Hakaniemi Square in 1976 and closed in 1993. 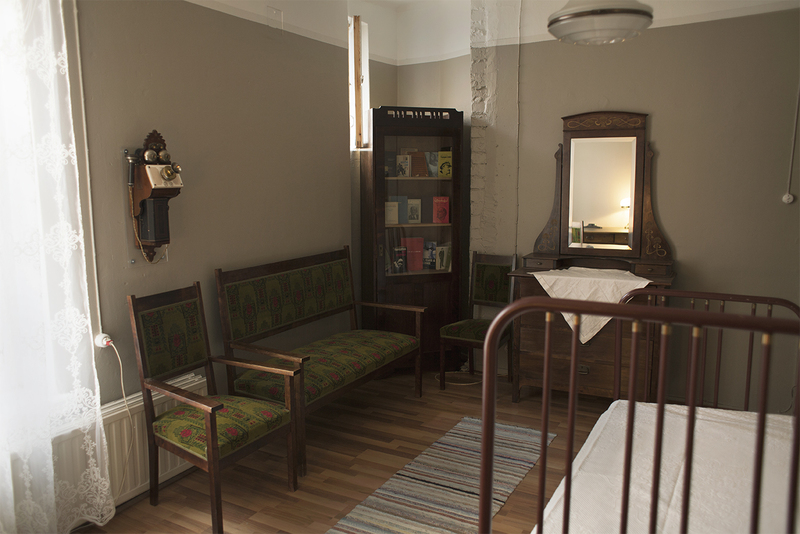 Shortly before the October Revolution, Chief Kustaa Rovio of the Helsingfors police sheltered Lenin in this room for several weeks so that he could avoid prosecution by the provisional government. 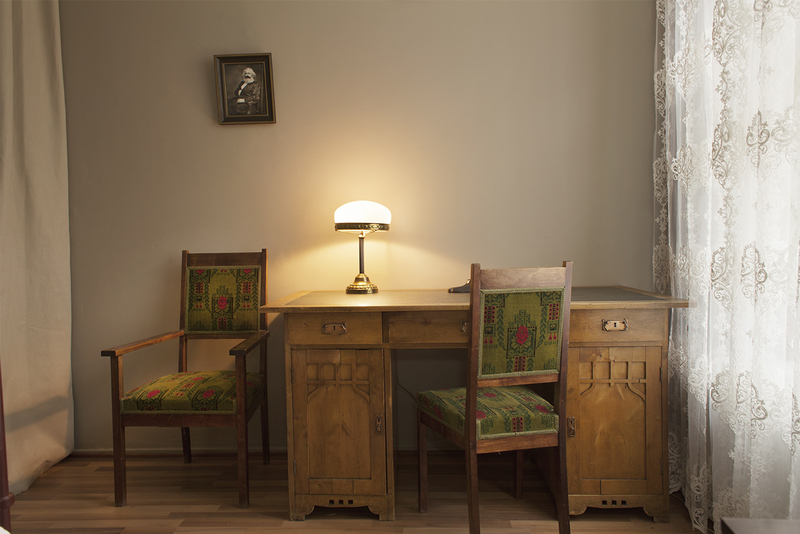 Here Lenin worked on his book State and Revolution and prepared for the uprising. Upon the museum’s closure in 1993, the apartment was sold to a private individual. For this research-based exhibition, Orlov has rented another apartment in the same building, where he will recreate the museum for three weeks in October 2017 to coincide with the centennial of the revolution. Object loans: The Lenin Museum (The Finnish Labour Museum Werstas, Tampere) and Helsinki City Museum. This year marks the 100th anniversary of both Finnish independence and the October Revolution. These two events are closely linked, even dependent, on one another, although in both countries these topics are sensitive and painful. The one-day symposium will address whether and how these events should be remembered, disremembered, or simply reconfigured within the current political context. It will trace the fate of Lenin’s museums in Finland and ask whether the October Revolution should have some kind of memorial. What is the legacy of Alexandra Kollontai—a Finnish-Russian revolutionary and advocate of free love? Can some form of communism still provide a working theory for everyone? Participants will convene in Paasitorni, the historic Helsinki Workers’ House building in Hakaniemi, to discuss these matters. The singularity of a revolution provides a point of departure to think about how radical transformations are possible. These moments of change derive from a complex constellation of interconnected struggles where politicization traverses the social to arrive at the crest of uprisal. However, it is erroneous to assume that the concealment of collective struggles (especially those that move against exploitation and oppression toward equality and liberation) implies that they have been successful. Ironically, their historical erasure allows political gains to neutralize what still remains to be accomplished. This irony lies at the core of a meaningful articulation of memories and their capacity to remain present. One hundred years after the Bolshevik Revolution and the Finnish independence that followed, the interdependence of these events are like a ghostly memory that still echoes an uncanny fragility. The need to remember the demands of these collective struggles is as urgent as questioning what has been learned and still needs to be learned in order to revive their unfinished processes. 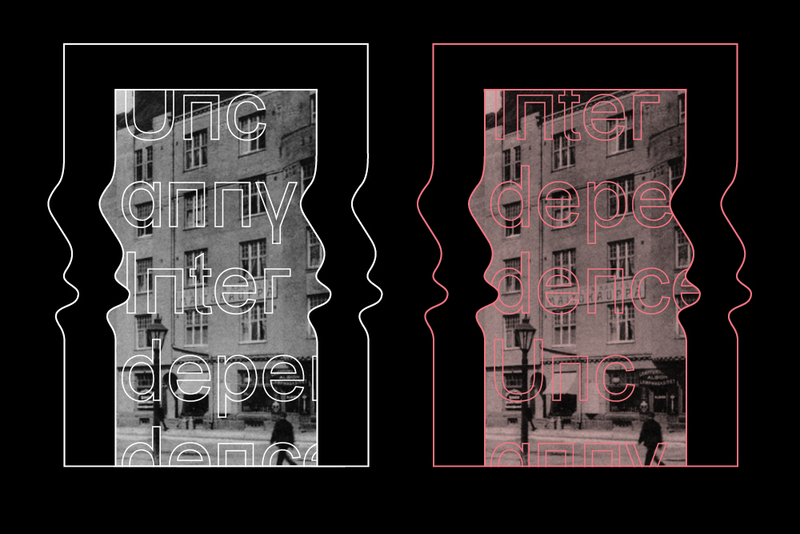 UNCANNY INTERDEPENDENCE is an invitation to think beyond national forms of memorialization in a discussion with individuals engaged in thinking critically and reading widely about this revolutionary time and its traces, claims, and contemporary forms. The Lenin Memorial Room at Hakaniemi Square opened in 1976; an initiative of the Finnish government, it was part of President Kekkonen’s good-neighbor policy toward the USSR. Following neoliberal anti-communist shifts in both post-Soviet Russia and Finland, the museum lost its diplomatic function and was closed in 1993. A place of memory disappeared when that memory was exhausted as a resource. Now that this “usable past” has been rendered useless to state interests, is there anything substantial left concerning Lenin? For Ilya Orlov, the re-creation of the museum functions as conceptual art, known for its love of dialectics and tautology— techniques also employed by Lenin in his writing. Might this be a way to come closer to Lenin’s thought rather than the never-ending disputes between pro- and counterrevolutionary “memories”? Orlov will present the the theoretical background of the project along with the results of his research in the Russian and Finnish archives. 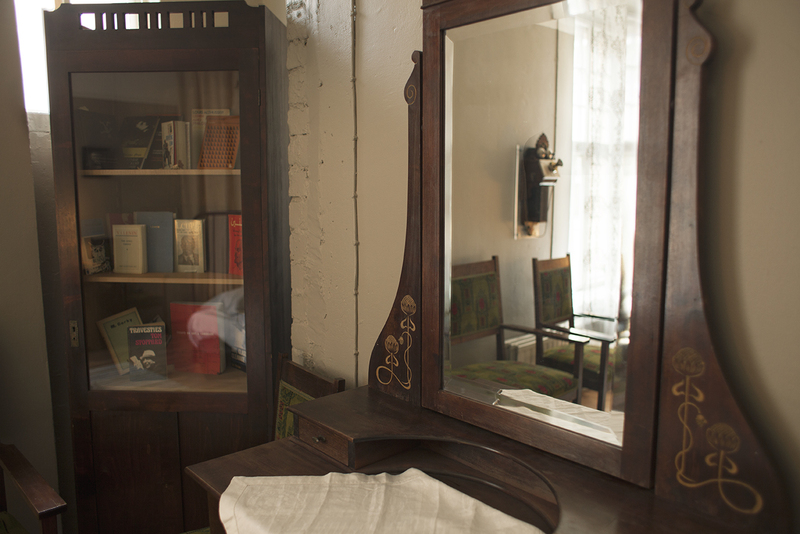 The former director of the Lenin Museum in Tampere will introduce the concepts of history and memory around the politics of Lenin’s museums in Finland. Starting from Lenin’s former hideout at Hakaniemi Square, we will be guided through the heated times leading up to the October Revolution, Lenin’s national politics and their relation to Finnish independence, and the way these events have been remembered and dismembered in Finland. The feminist revolutionary and writer Aleksandra Kollontai was the only female member of the first Soviet government. She is best known for her political work and writings on sexual politics, including the so-called woman question, approached from a Marxist perspective. She was also an expert on Finland for the Russian Social Democratic Party, writing extensively on the condition of the Finnish proletariat and its relation to industry in Finland. Through summers spent in the Finnish countryside with her family, she developed a close connection to Finland that allowed her to play a key role in negotiating the end of the Winter War while serving as the Soviet ambassador to Sweden. What can we learn today from Kollontai’s scientific work on political economy, her studies on the Finnish working class, and the “Finnish question”? This talk will address the extensive scientific and political writings about Finland by an agitator of Finnish independence. “How might have the Russian Revolution worked?” is the central inquiry of a new book by author, theorist, and artist Bini Adamczak. This dialogue departs from Adamczak’s previous book The Gender of Revolution, which examines the writings of Alexandra Kollontai. The audience is invited to rethink, together with Adamczak, revolutionary practices as relations of radical freedom, equality, and solidarity that point toward a possible future horizon for memory. Additionally, the conversation will also address the relationship between culture and politics: Is there anything to gain and learn from the revolutionary impulses of cultural projects and practices? If so, where do we identify the potential in actualizing the commemoration of Lenin and Kollontai in present-day Helsinki? In 2011, Ukrainian steel magnates dismantled a Lenin statue at one of their plants in order to protect it from revolting workers. This act functioned as a curious riposte to years of Stalinist glorification of leaders against the masses as well as Lenin’s own Monumental Propaganda decree from 1918. The latter was an inauguration of the countermemorializing gestures of Walter Benjamin and the Situationists who themselves, like Lenin in brass and embalmed flesh, are threatened with falling victim to the solidifying memorial—the shiny metal of statuary. A shiny metal thing takes on the form of the cream separator in Eisenstein’s The Old and the New (1929), and as such is a memorial to the movement of revolution, a centrifugal force that activates history, and in so doing negates the situation that garnered Lenin’s disgust: the theft of cream from the mouths of peasant babies. The appearance of this shiny metal newness denies the old but does not forget it. It is a form of practical memory or memorializing in the name of the nameless—in the temporary and revolving medium of film, a metallic gloss only. Lenin is usually portrayed as a statesman, and his work is discussed in relation to state power and conspiratorial policies that led to the revolution. This is partly true. Lenin was a militant activist defending Soviet rule. But as the author of the Philosophical Notebooks, he insisted on reading Hegel and writing on dialectical abstraction in the midst of political turmoil, while authoring numerous texts on Tolstoy as well. Following Alain Badiou’s argument that politics lacks, in its vocation, what Mallarme describes as “atlases, herbariums, and rituals,” Boynik attempts to find such a vocation in the name of Lenin. By constructing a Lenin-disc, a device that exposes the figurations of these strange references, he aims to reveal the contradictory nature of the effect Lenin had throughout the twentieth century. Compiling over seventy citations by or about Lenin, the artwork indexes the unconscious of communism and the October Revolution as manifested through art and theory. Arguing that artistic representation of revolutionary events requires complicated forms, Boynik will also discuss the form of centrifugal movement in relation to Lenin’s theory and practice. Minna Henriksson, who has followed the fate of Lenin’s memorials in Finland and elsewhere, will guide us through her research, opening a space to reflect upon how Lenin might be remembered today. Is a monument for Lenin in Lenin Park even thinkable? If so, what form would it take? Could it follow the practice of the early Bolsheviks, who made temporary monuments out of plywood and cardboard so that they could be moved from one street corner to another and replaced when needed? Should the memorial be a collective endeavor? And who should be included in the discussion about the remembrance of Lenin at a time when his legacy is disputed and his monuments are still being taken down? In the context of the centennial of the Bolshevik Revolution and Finnish independence, the legacy of Lenin, Kollontai, and other thinkers that contributed to advance the path toward the people’s liberation should not be neglected. How might we remember such dynamic and influential events today when their legacy is contested and their narratives reshaped in response to current political ideologies? How might we update their ideas? Should memorials still be considered? How might the question of preserving collective memories be addressed? 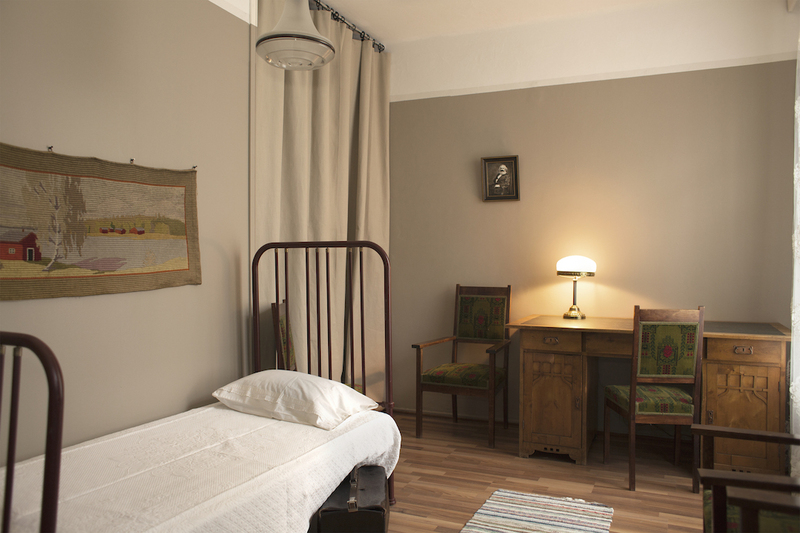 Meeting Point: The Worker Housing Museum, Kirstinkuja 4, at 11:00. The tour includes The Working Mother Park, the House of Culture, and Lenin Park. Alppiharju is among Helsinki’s traditional working class neighborhoods; here, Kulttuuritalo (the House of Culture) was built by volunteers for the People’s Democratic League and inaugurated in 1958. Some years later, in 1970, a nearby park was selected to commemorate Lenin’s legacy and was renamed Lenin Park. However, plans to erect a statue in his memory there were never realized. Minna Henriksson will guide us through the Alppiharju district, reviving the neglected histories of those and other memorials located in the area. Along the way, Jyrki Siukonen, who has been pursuing research on Bolshevik monumental propaganda from 1918 to 1920, will discuss the gradual decay of historical memories. Ritva Hartzell will also speak about her ongoing campaign to erect a Lenin statue in Lenin Park. BINI ADAMCZAK (Berlin) is a writer and artist working in the visual and performative arts. She coined the term “circlusion,” which means the opposite of penetration. Adamczak’s recent book Communism for Kids (MIT Press, 2017) provoked a massive shitstorm among the US far right. Forthcoming are two books on the Russian Revolution, The Gender of Revolution and How Could the Russian Revolution Have Worked? ELENA AGUDIO (Berlin) is an art historian and curator. Her research is focused on the sharing and exchange of knowledge and skills across disciplines and cultures. Since 2013, she has served as the artistic co-director of SAVVY Contemporary in Berlin. She is also the artistic director of the Association of Neuroesthetics (AoN): A Platform for Art and Neuroscience, and is currently a curator-in-residence in Helsinki. SEZGIN BOYNIK (Helsinki) is a theoretician and publisher. He completed his doctoral studies on the political nature of Yugoslav Black Wave cinema and has published essays about structuralist films, cultural nationalism, hard-core punk, and conceptual art. Boynik is an editor of Rab-Rab: Journal for Political and Formal Inquiries in Art. GIOVANNA ESPOSITO YUSSIF (Helsinki) is a curator and art historian. Her practice is focused on rooting alliances between sites of production, situated knowledges, and collaborative models of inquiry. Her research is driven by questions intersecting memory and chronopolitics; embodied, divergent, and dissident knowledges; interdependencies; and nomadic belongings and futurities. Currently she shares a collective practice with NÆS - Nomad Agency /Archive of Emergent Studies and Night Schoolers. RITVA HARTZELL (Helsinki) is a retired Finnish teacher, writer, and civic activist. She has actively campaigned for erecting a Lenin monument in Helsinki. She has also campaigned for environmental issues and is currently working to better the living conditions of Eastern European Roma people. She is the author of Roskankerääjän päiväkirja (Waste Collector’s Diary, Robustos, 2011), Kova jätkä (Tough Guy, RADIUM-Kirjat, 2014), and the forthcoming Leninin morsian (Lenin’s Bride). MINNA HENRIKSSON (Helsinki) is a visual artist whose often collaborative work engages with discussions arising from anti-racist, leftist, and feminist struggles. Since 2006, she has pursued a theoretical engagement on nationalism together with Sezgin Boynik. Co-editor of the book Art Workers: Material Conditions and Labour Struggles in Contemporary Art Practice (Self-published, 2015), Henriksson is also active in the collective study group Night Schoolers and the leftist artist association Kiila. She has exhibited her work in the Lenin Museum in Tampere. MICHELE MASUCCI (Stockholm) is an artist, writer, and PhD candidate at Karolinska Institutet and the Vienna Academy of Fine Art. His research interests include Italian political philosophy, feminist theory, and theory of science. He is currently a guest lecturer at Konstfack CuratorLab, where he has organized a reading group on the life and work of Alexandra Kollontai in preparation for an exhibition of Dora Garcia at Tensta konsthall in 2018. Masucci has translated political theory from Italian to Swedish and regularly contributes to various art journals and political magazines. AIMO MINKKINEN (Tampere) is a researcher and Director Emeritus of the Lenin Museum in Tampere. Since the 1970s, he has published numerous articles on Lenin in scientific publications both in Finland and abroad. Minkkinen has held different positions at the Lenin Museum since 1980: from 1989 to 2014 he was the acting director of the museum. Since retiring he has continued his research; Lenin: Helmirasia (Wanhatkirjat.fi, 2014) is his latest book on Lenin. PAUL O’NEILL (Helsinki) is a curator, writer, and scholar of curatorial practice, public art, and exhibition histories. O’Neill has recently been named artistic director of Checkpoint Helsinki. He was the director of the graduate program at the Center for Curatorial Studies, Bard College, from 2013 to 2017. O’Neill’s books include The Culture of Curating, the Curating of Culture(s) (MIT Press 2012), and he is currently working on the co-authored Durational Aesthetics: Time and Contemporary Art (Bloomsbury Press, 2018). ILYA ORLOV (Helsinki/St. Petersburg) is an artist, historian, and PhD candidate at the Academy of Fine Arts Helsinki. His artistic research is informed by critical theory as well as avant-garde and conceptual art practices. He has exhibited at the State Museum of Political History (St. Petersburg), the National Center for Contemporary Art (Moscow), the Moscow Museum of Modern Art, and the Tretiakov Gallery (Moscow). He also participated in Manifesta 10 (St. Petersburg). Orlov is a member of the editorial board of Rab-Rab: Journal for Political and Formal Inquiries in Art. JYRKI SIUKONEN (Helsinki) is an artist and researcher based in Tampere, Finland. He has exhibited internationally since 1982 and published widely on topics ranging from early modern philosophy and the 1920s Soviet avant-garde to non-verbal thinking in sculptural practice. Siukonen was a Gregory Fellow in sculpture at the University of Leeds from 1995 to 1996 and a professor of sculpture at the Academy of Fine Arts Helsinki from 2006 to 2009. NORA STERNFELD (Helsinki/Kassel) is a professor of curating and mediating art at Aalto University in Helsinki, co-director of the /ecm master program in exhibition theory and practice at the University of Applied Arts Vienna and a designated documenta professor at the Kassel School of Art and Design. She is part of trafo. K, an office for art education and critical knowledge production based in Vienna, and Freethought, a platform for research, education, and production based in London. She publishes on contemporary art, exhibition theory, education, the politics of history, and anti-racism. JOANNA WARSZA (Berlin/Warsaw) is the head of CuratorLab at Konstfack in Stockholm and the artistic director of Public Art Munich 2018. She has curated the public program of Manifesta 10 in St. Petersburg, the Georgian Pavilion at the 55th Venice Biennale, and the Checkpoint Helsinki exhibition “Finnish Landscape” at the Seurasaari Open-Air Museum in 2016. She recently edited a reader on boycotts in contemporary art entitled I Can’t Work Like This (Sternberg Press, 2017).